Protect your rings or cuff links in the mini leather bolsters. 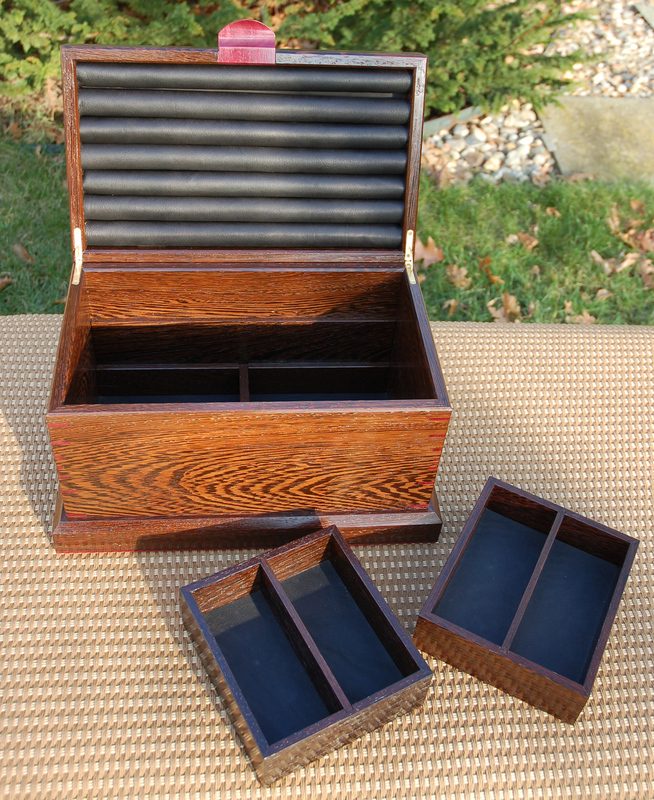 Leather-lined trays and bottom cushion your valuables. Bold wenge grain is matched on all four sides. 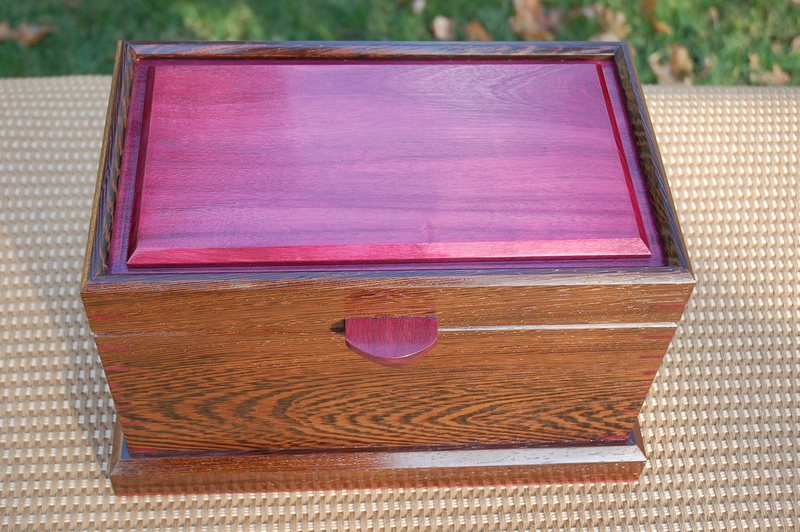 Purple heart splines, top panel and hand-carved pull. 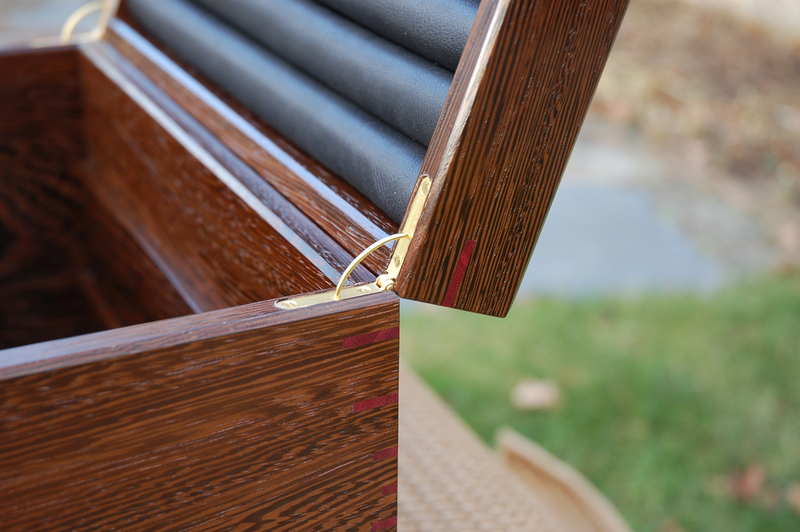 Precision brass hinges hold the lid open with hiding stays. “Fred, I just want to tell you again how much I love the cabinet and the wonderful details. It's like having something with all sorts of hidden and not hidden (if you know where to look) treasures.